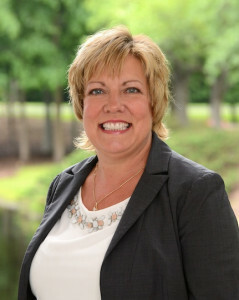 Sallie joined Advantage Point Solutions in 2012, with over 27 years experience as a clinical pharmacist. The last 12 years she was Vice President, Formulary Consulting in the Pharmaceutical Strategies and Solutions Department at Medco. In that role she built the Formulary Consulting Group who worked closely with Medco’s custom formulary clients to maximize savings, while maintaining a clinically appropriate formulary that met each clients individual plan design goals. She also worked with manufacturers to develop creative strategies that met both manufacturers’ and the clients’ goals. She worked with employer, labor union, state health plan, and employer coalition clients to balance cost of their benefit with providing comprehensive coverage for their members. Sallie joined Medco in 1993 holding a variety of positions, managing Medco’s P&T Committee and in Account Management with oversight of other clinical pharmacists who collectively managed Medco’s health plan clients. Sallie utilized her years of direct client experience to develop the Formulary Consulting Group, which was unique in the industry. She continued to have direct client involvement, focusing on formulary and related plan design management. Sallie received both her Bachelor of Science and Doctor of Pharmacy Degrees from Virginia Commonwealth University. She completed a residency at Moses H. Cone Memorial Hospital and her Board Certification in Pharmacotherapy.